On August 26, 2008, Canon announced the EOS 50D and shook things up a bit by breaking their traditional 18-month refreshment cycle for the amateur model lineup. Every xxD model since the 10D had been released at 18-month intervals until the 50D, which came in just 12 short months after the Canon EOS 40D. 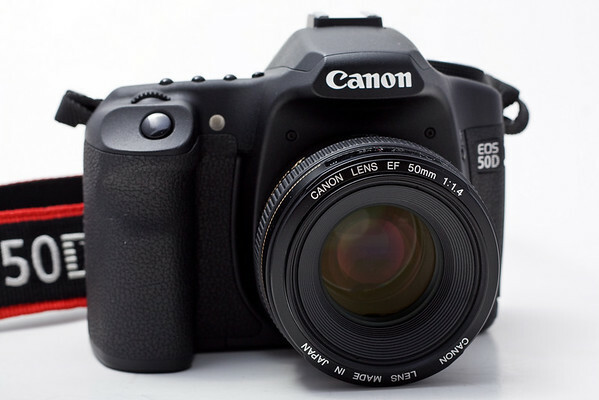 With the announcement, the Canon 50D brought two big headline features – 15.1 megapixels and an ISO equivalent of 12,800. Since the introduction of the Canon Rebel XTi a couple of years back, the xxD series has lagged behind the lower-end Rebel series in terms of the number of megapixels found on the sensor (e.g., XTi w/ 10MP vs. 30D w/ 8MP; XSi w/ 12MP vs. 40D w/ 10MP). This is no longer the case with the 50D. Instead of just matching the resolution of the latest Rebel camera, the 50D jumped out in front by a somewhat sizeable margin. While the grumblings of many photographers have grown louder and louder in the image quality vs. megapixel debate, camera manufacturers continue to put more and more pixels onto these tiny sensors. The Canon 50D is no exception to this debate and has been criticized by many since it was first announced for simply having too many pixels. 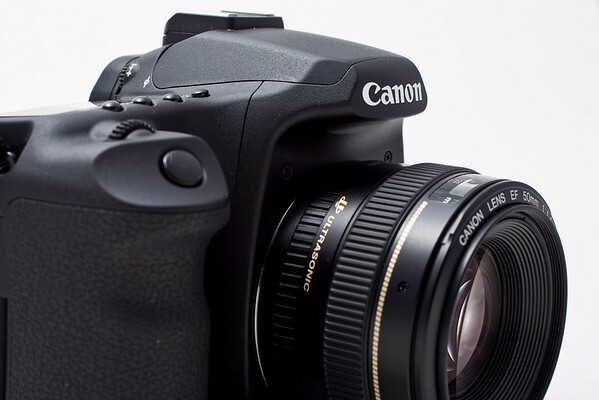 So, is the Canon 50D a worth successor to the 40D? Does Canon regain the edge over the Nikon D300 with more megapixels and greater sensitivity? Is the 50D a must-have camera? 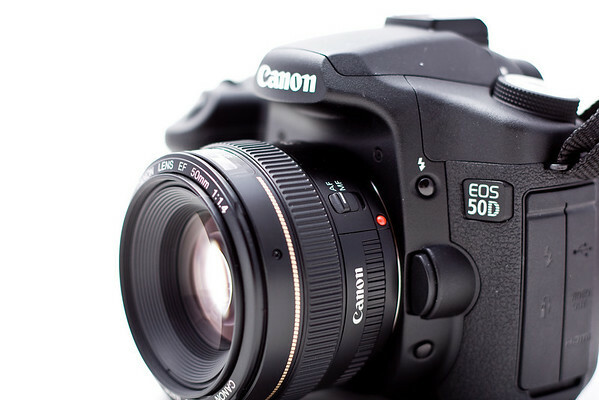 Keep reading to find out my thoughts on Canon 50D and how it stacks up against the competition. The 50D features a 15.1-megapixel CMOS sensor which captures images at 4752 x 3168 pixels with 14-bit A/D conversion. The sensor offers a new design over the 40D’s sensor in that it uses gapless microlenses to increase the efficiency of each individual pixel. In theory, this should increase the low-light sensitivity by allowing more light to transmit to each pixel. 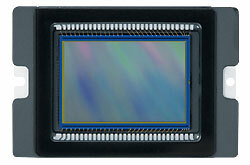 Keeping with the tradition of its model line, the 50D’s sensor is a 1.6x crop. For those unfamiliar with this spec, it references the field of view provided by a given lens’ focal length. That is, a 50mm lens looks like what a 80mm lens looked like on a 35mm, or “full frame”, camera. This “effective focal length” (a term I use loosely) is calculated by multiplying the lens focal length by 1.6 (i.e., 50mm x 1.6 = 80mm). 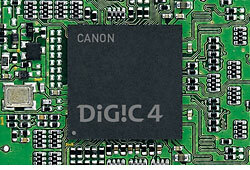 A new DIGIC 4 image processor is also found in the 50D, which permits the camera to transfer the larger 15.1 megapixel files at nearly the same rate as the Canon 40D. The 50D sports a 6.3 frame per second capture rate, while the 40D offers 6.5 frames per second. DIGIC 4 also offers the improved Auto Lighting Optimizer that corrects brightness and contrast automatically, and Peripheral Illumination Correction for up to 40 EF lenses. Now a common feature on almost all consumer- and prosumer-level DSLRs, the 50D continues the tradition of offering a dust reduction feature called the EOS Integrated Cleaning System. In addition to a sensor-shake method and dust mapping via software, the 50D improves this feature with a new flourine coating. Canon throws out its best Live View offerings with three different AF modes – Quick AF, Contrast AF and Face Detection AF. I’m not going to go into any great detail on these in the performance section of the review, so I’ll give my thoughts here. Canon’s current AF options for Live View leave much to be desired. It is clunky, slow and overall a poor performer that feels like an afterthought to the camera. If you want to hold your DSLR at arms length and shoot, then you had better look at the Sony A350 or A300 (read Sony A350 Review) – otherwise, stick to a point and shoot. If you are using Live View for macro or critical focus confirmation, then you’ll be manually focusing anyway. In such a case, you’ll appreciate the higher resolution LCD. Unless you have a dedicated purpose to use Live View and manual focus, you can pretty much forget this spec. The viewfinder offers 95% frame coverage at a .95 magnification – same as the 40D. Users moving up from the Rebel series, however, will appreciate this bigger and brighter viewfinder. As with past models, it offers the ability to change out focusing screens depending on the photograper’s needs and desires. The 50D has 9-point AF points that act as cross-type points at f-stops of f/5.6 or faster. Additionally, you get a diagonal center cross-type AF point with f/2.8 and faster lenses. These cross-type AF points give you faster autofocus response times, which is apparent when using the camera. Paired with the 6.3 frames per second frame rate, the Canon 50D operates as a solid sports photography camera. The ability to fine tune the autofocus is something that was a welcomed surprise among many Canon shooters. Previously, AF microadjustment was a capability that was only available on pro-level 1 series models. This is yet another example of how technology trickles down from higher-end models to more consumer and prosumer models. The 50D offers native sensitivity of ISO 100-3200 with ISO expansion up to 12,800. Ever since Nikon dropped the D3, with sensitivity up to ISO 25,600, it seems that camera manufactures have been fixated on pushing the ISO to silly levels. I think the 50D suffers from this as well. While I managed to get a handful of images from the 50D that are salvageable at ISO 6400, they really only become “usable” if chosen as black and whites. I can’t imagine many situations where the 50D’s ISO 6400 setting will produce a salable image – perhaps some black and white candids from a wedding reception or some small images for newspaper printing. I think, however, if you’re picking up the 50D for “family coverage” then you may very well use ISO 6400 for some available light shots at your kid’s play or concert. You can probably get some 4×6 prints for the family album that are plenty acceptable. Just don’t bet the farm on using anything above ISO 3200. And as for the ISO 12,800 setting . . . it’s just a spec. Seriously, there is no chance that you can rely on this setting for any usable images. It’s cool to say “my camera takes pictures ISO 12,800” – but so are mopeds. And, you won’t be showing off either one to your friends. Now this is a worthwhile spec. If you are a Canon Rebel-series user looking to upgrade, then you are going to love the ability to fire off 6.3 frames each second at a maximum of 90 image captured per burst! Again, this is an impressive spec considering the 50D gains 5 megapixels over the 6.5 fps 40D, but still keeps essentially the same frame rate. Canon was getting killed in the LCD-spec category and stepped up to the plate with the 50D and its higher resolution LCD monitor. It’s big, bright and pretty and offers plenty of resolution to see the essentials while chimping your shots or fine tuning your critical focus in Live View. The 50D features a 100,000 shot rated shutter. It also has the tough magnesium body that we’ve come to expect from the previous cameras in the 50D lineup. The 50D is also supposed to have better weather sealing than the 40D. Overall, the 50D feels good in the hands and has a pretty intuitive design and button/switch layout. I’ve got a couple of gripes in this section though. The On/Off switch is just plain goofy. Why can’t Canon do something like their Rebel series or Nikon cameras and put the On/Off switch accessible near the shutter button? I never have liked the two-position thumb switch tucked away on the back of the camera. The Rebel series thumb switch on the right top works great. Likewise, Nikon’s trigger finger switch works great near the shutter release button. Ok, with that out of the way, let me praise the Quick Control LCD menu screen. Navigation is intuitive for the most part and settings are readily apparent. As with other Canon bodies, Auto-ISO is a welcomed feature on the 50D as well. The increased sensitivity of ISO 100-1600 on the 50D (the 40D feature ISO 100-800 Auto-ISO capabilities) helps get a little extra out of those low light environments. Auto-focus is also snappy and accurate – even in low light. How much better is the AF compared to the Rebel series? I have not done any scientific testing to quantify this assessment, but to me it is noticeably better. Over the 40D? No, it’s essentially the same AF system. However, the 40D does not offer the AF microadjustment found on the 50D. The frame rate of 6.3 fps is awesome. Whether you are capturing the bouquet toss at a wedding or your kid’s game winning goal at a soccer match, you’ll notice a big difference in this frame rate over consumer-grade models like the Rebel series – and, you’ll get the shot you would have otherwise missed. If you are considering an entry-level camera, the trade off with the 50D is a bigger, bulkier and heavier camera. Good luck fitting this into a purse – even a large one. The 50D is substantially larger than the Canon Rebel series or the Nikon D40/D60 line. If size matters, the 50D may not be a viable option compared to the smaller entry-level DSLRs. Very rarely is my wife enthusiastic about my purchase of camera equipment. However, after she browsed through some family photos shot with the 50D, she told me that I had to buy it. She can’t really describe for me why she likes the camera other than that she thinks the pictures look good. Reverse engineering her thought process, however, I think that the high ISO capabilities were the key to her impression. Using the 50D, I was able to capture many more available light photos than I am accustomed to capturing with my standard “family outing” cameras – a Rebel XT or XSi. 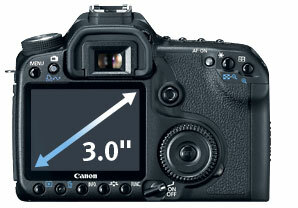 Additionally, as noted above, the increased sensitivity is very welcomed on the 50D – to a limit. Again, the ISO 12800 (or H2) setting simply goes too far. Generally speaking though, ISO 3200 and below produces very usable images. Combine this with a large aperture lens and you’ve got a stellar combo for available-light shots. The increased resolution doesn’t really do anything for me. I rarely print above 8×10 prints. Frankly, I would prefer a smaller file size from a 10 megapixel 40D, particularly in light of how the cameras match up in the rest of their spec sheets. Stock photographers looking for the biggest file size they can get their hands on will appreciate the increased resolution; however, they’ll still be limited to ISO 200 (maybe ISO 400) in order to keep the images clean. Speaking of ISO settings . . . here’s a series of images captured indoors with available light and intended to feature the sensitivity quality of the 50D at various ISO settings. Feel free to click on each of the images to view the image at 100% – just be ready to wait on the images to download if you have a slow connection. All images were captured in RAW format and exported to JPEG from Adobe Lightroom with no edits. And, finally, for good measure, I have included a couple of ISO 6400 samples that I processed in Adobe Lightroom that demonstrate the potential usability of an image captured at this high ISO. Again, click the image to download the original file. If you’re buying online, I recommend sticking with Amazon, B&H Photo or Adorama. These three vendors are reliable, trustworthy and generally have the best (legitimate) prices. If Canon had given us a 40D “Mark II” at 10 megapixels with the rest of the upgrades found on the 50D, then I think we would have a killer prosumer camera. However, we are approaching the point where more megapixels become pointless. When Canon and the rest of the camera manufacturers let go of the marketing hype that’s attached to the megapixel spec, I think we will see some truly great cameras come along. Perhaps Nikon is already on this trend with a 12 megapixel trio of the D300, D3 and D700. We’ll know how Canon sees the game over the next 6-12 months as the next couple of release cycles produce successors in the Rebel series and maybe a 50D follow-up as well. So, should you buy the Canon 50D? If the 40D never existed, I would have said that the 50D is a great camera that is worth the purchase price; however, we simply cannot ignore that Canon has a comparable DSLR model that is a couple hundred dollars or so below the 50D. If you know you need the 50D for one or more of its features, then you know it and you don’t need my opinion to help you make the decision. If you are on the fence about whether to get the 40D or 50D, get the 40D and spend the extra cash on another lens or an external flash. If you want to see more on the Canon 50D and get some other opinions, you can visit Photography Bay’s Canon 50D Reviews and Resources. Regarding joystick and scroll wheel: Sorry, dear reviewer, but you simply didn’t get it. It’s not necessary to use the joystick for menu navigation. Simply use the main finger dial for horizontal menu selection and the thumb wheel for vertical selection. Choose options by using the center SET button. But the Headline stil shows only 1 comment? @sonorman – First, you’re right. I missed it on that one. I stand corrected and will edit the review accordingly. And, kudos to you on calling me out. I appreciate the comment and I’m glad you took time to make PB a better site. With respect to your other comments, all comments on PB go to moderation due to the volume of spam it receives and the clever ways that people come up with to defeat spam filters. Accordingly, comments are always reviewed – and I’m currently to only author (although, your contribution is always welcomed here). Additionally, I have a day job and can’t always moderate comments at the moment it arrives. I hope you understand. I’ll take the criticism when it’s due and you have a valid point. Generally speaking, the only thing that I filter out manually is egregious personal attacks on anyone, and I’m pretty thick-skinned so I’m more inclined to let the attacks on me go on through, or foul/lewd language. Ah, I see. Sorry for being so impatient. And thanks for your effort. Photography Bay is a daily destination for me. eric? is that the moderator? i was just looking at the shots above and the one processed in lightroom inside the restaurant looks great man! i was wondering……what do you use in lightroom to deal with your noise problems? whatever you did sure made it work! i found this site through going backwards from several sites that of course now i dont remember where i started……doh! great site and i will be checking in and hope to hear from you! i have a 40d and the 50 had BETTER be here before xmas….. I have used the 50D for quite some time now (http://www.paulmanoian.com/photography) and there’s no denying the images it produces are much softer than the 40D at the pixel level. This is to be expected in a camera that bumps the resolution up 50% on the same-sized sensor simply because there is less wiggle room. It is essential to use top quality optics with this body if you want to take advantage of the higher levels of detail the body is capable of capturing. Images captured with lenses, that were considered “decent” on other bodies, may appear fuzzy since the optics are not capable of focusing as sharply as needed. My “L” lenses do very well. My other lenses, well, I sold them since this body REQUIRES pinpoint focusing capabilities. If the lens provides a less-than-perfect image to the sensor, the 15MP sensor will definitely capture a blurry image. I agree with Paul 100%. In March of this year, I chose the 40D over the 50D, precisely because going to 15 mp on a APS-C sensor was going “a bridge too far.” I am sick of the megapixel race — I wish Canon would stop. Also, since I’m on a budget, I didn’t want a camera body that demands L lenses. I think the ISO 6400 shot of the ketchup bottle looks pretty good and would make a perfectly fine 8 x 10 print. It’s cleaner than I got with 35mm ISO 1600 b&w film. I guess 6400 is a photographer’s ISO rather than a pixel peeper’s ISO. It’s been almost a year since i upgrade to 50D and basically i like the results that i get. The higher ISO really helps. I agree with Paul when using the “L” lenses for this camera body to get the finer detail of the images.